Let’s just rip off the band-aid: I am stepping down from Fireside. The past eight months have been so gratifying, both in the art we have published and in the response from our readers to our new mission. It’s made Fireside new again for me, and it’s been a privilige to do my part. So why leave? Because I have a bigger part to play besides my role at Fireside, and I can’t do both any longer. Fireside is not going anywhere, though. We’ve been working for the past few months to make sure that it is in the hands of the most excellent team we can assemble, and we hope that you will continue to support our mission going forward. Pablo Defendini, our design and technology director and my business partner the last few years, is taking over as publisher. He’ll be continuing in his other duties as well. Pablo is really good at running things. He’s been taking on more of that behind the scenes the past few months. Pablo is organized and he has Plans. You’ll want to stick around to see what he comes up with next. Elsa Sjunneson-Henry, our wonderful assistant editor who has been managing our submissions for a while now, is stepping up to become managing editor. She’ll be helping Pablo keep the joint running, with a focus on overseeing our editorial operations. We are incredibly lucky to be welcoming Julia Rios to take over as fiction editor for the magazine. She’s previously been an editor at Uncanny and Strange Horizons, and she’s also a writer, podcaster, and narrator. She will be making story selections for the magazine as well as editing them. I feel really good passing that job – the heart of what makes Fireside what it is – onto Julia. We’re also incredibly happy to have signed Mikki Kendall on as editor to lead the follow-up to last year’s #BlackSpecFic report. Oh yes, there is a follow-up. And it will be out soon. As far as the actual company goes, Fireside is being reorganized as an LLC (I had been running it as a sole proprietorship). Pablo will own and operate the company, and I will be retaining a one-third equity stake in the company. But Pablo is the boss. We’ll be talking behind the scenes, but this is his show. That’s effective immediately. The LLC is up and running, Pablo and Elsa are both already in their new positions, and Julia will be starting officially in September. I am wrapping up editing on our stories for July and August now and will be mostly out of the way by the end of July. We have done something amazing here, my friends. These past five years – can you believe it’s been that long – have been such an honor for me. 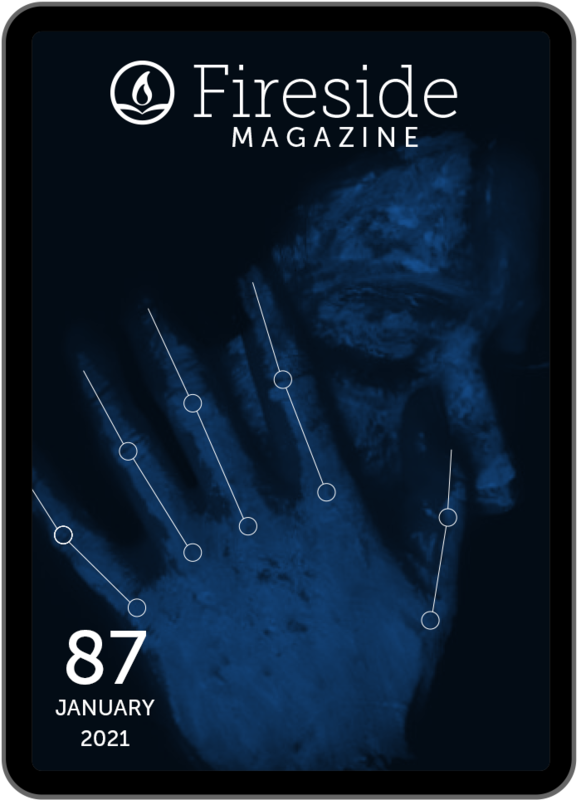 With your trust, and yes, your financial help, we’ve built Fireside from a single issue of a magazine to a real company, one that we hope is leading the way in experimenting with short fiction in the 21st century – both in how we deliver our stories and in trying to make sure writers and other creators are paid something closer to a fair wage for their work. We’ve published dozens of incredible stories over the years, stories that I am proud to have had a small part in bringing into the world. Thank you for that. Thank you for everything. I love you all.